John Cork is perhaps best known as one of the foremost experts on the world of James Bond, writing several well-received books on the subject and working on the special features for most of the Bond 'Special Edition' and 'Ultimate Edition' DVD and Blu-ray releases. Yet there is more to John than is first apparent. He's the screenwriter of the critically acclaimed racial drama THE LONG WALK HOME (1990), has worked on the special features for many other DVD/ Blu-ray video releases, and came close to writing a Bond film himself. I spoke to John about his fascinating career. Part 1 can be read here. How did you then get involved in the special features for the original Special Edition DVD releases of the Bond films? Well the first thing that happened was that right after I had finished working with Eon, I met Lee Pfeiffer, who now publishes Cinema Retro magazine. He had had some conversations with MGM about working on the special features of a laserdisc edition of GOLDFINGER and possibly THUNDERBALL. He encouraged me to meet with someone at MGM about joining the project, and then my involvement was endorsed by Eon. We did the work on those two laserdiscs with people such as Mark Cerrulli, Dave Worrall, Bruce Scivally, and Paul Scrabo and his wife. It was a huge amount of work but a lot of fun. We finished them and I said to everybody "I'm going back to screenwriting, folks!" 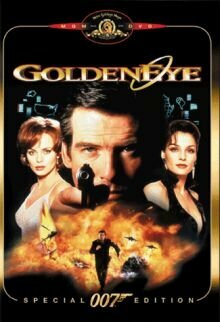 I had Goldeneye magazine that I was editing too. The reality is that you get paid a lot more for screenwriting than making special features for laserdiscs. Those laserdiscs paved the way for the Special Edition DVD releases of the Bond films. I'd been doing a lot of post-production work in L.A., and MGM came to me and asked me to supervise some of the special features for the laserdisc release of GOLDENEYE, which didn’t involve any production per se. We recorded an audio commentary, gathered the trailers and TV spots. I helped them clear the US television special that was produced and spent one day in a post-production house supervising the assembly. I didn't think anything more of it. TOMORROW NEVER DIES came out and I didn't work on the special features. Then, I started getting phone calls from people telling me that they had heard MGM were going to do Special Edition DVDs of all the films. Some people asked me if they could put me down as a reference for doing the special features. I said "Yeah, fine." I was working on a spec script at the time and I literally had a week to get it finished and sent off to my agent. Unfortunately, it became obvious that it wasn't going to sell. It's a hugely depressing moment in the life of a screenwriter. You spend a lot of time writing spec scripts and you use up a lot of savings. Suddenly the phone rang and it was MGM. I figured they were asking me to recommend someone I had given references for. The person told me, "We've seen your name everywhere. We finally called up Eon and asked for a recommendation and they recommended you.'' I told him "Well, here's the deal. I'm a member of the Writer's Guild, and if I work on these DVDs, I'm going to have to have the work covered under a Writer's Guild contract. " He said, "We can work that out." And then, boom!, within two weeks I was working on the project and it took thirteen months of my life. I built a team, most importantly, Bruce Scivally, but Dave Worrall and Paul Scrabo were involved, as were dozens of others. I realised that I was having more fun talking to real people rather than what you do as a screenwriter, where you talk to the imaginary people in your head! My love of history, which had inspired me to write THE LONG WALK HOME, was satisfied by working on these Bond documentaries. My love of filmmaking was satisfied by being able to sit down and talk to people I had admired all my life. I had a great time with it. I went to MGM after the project was completed and told them "You know, I don't just know about Bond. I'd love to work on some other titles too." They were pleased with the Bond work and they started feeding Cloverland - my company - titles. It must have been amazing having access to the archives on your Bond DVD and book projects. We pulled every script out of there when we made the documentaries, and you can see shots of them on the DVDs. It was incredible. I even got to read the 'Jinx' script, which was really a precursor to the CASINO ROYALE reboot. I've been through the Ian Fleming Publications archives, Fleming's private materials, the Eon Bond archives, and MGM/ UA's archives. I feel incredibly fortunate to have been able to do that. The irony of it though is that when you have the opportunity to go through the archives, you never have the time to go through everything because you're on a work deadline and things have to be done quickly and as a team. For example: We were working on the GOLDFINGER and THUNDERBALL laserdisc documentaries in 1995, and there was a day where Iris Rose, who used to work at Eon, was able to show us through the archives, which were then at Pinewood. Eon was happy to give us access to anything we wanted. Unfortunately, this had to happen at the same time we were interviewing Honor Blackman. You can’t do both. Meet Honor Blackman or go through the archive. I made the decision to go to the archives. There are always choices to be made! Luckily I got to meet Honor later, and she was great. I have to say I am extremely honoured that Eon put their trust in me and Bruce Scivally and my collaborators to try and celebrate the character that has given me so much enjoyment over the years. This is also true of my other non-Bond work too. I just did the special features for CHARIOTS OF FIRE (1981). Sitting down with David Puttnam and Hugh Hudson. It's a very emotional film for them, and in a lot of ways the most important project they were involved in. There's that pressure of 'Don't screw this up! Don't screw us over!' It's my honour and my responsibility to help them celebrate the film they love. You also did a commentary with Bond author/ historian Steve Rubin for the Special Edition DVD of the 1967 CASINO ROYALE. Steve Rubin, who was producing the special features on the 1967 CASINO ROYALE and NEVER SAY NEVER AGAIN (1983), invited me to participate in the audio commentary for CASINO ROYALE. It was a blast, and I'm deeply grateful to Steve for including me. I had known Steve for many, many years. His books, 'The James Bond Films' and 'The Complete James Bond Movie Encyclopedia' (1995) are books that I greatly admire. He also played a key role in some of the work we did for the DVD release of THE GREAT ESCAPE (1963) many years ago, hosting an audio commentary made up of interviews Steve had recorded with many of the filmmakers. He also worked with me on THE DAY THE EARTH STOOD STILL (1951), providing a key interview for our documentaries on that film. H ow was working on the Deluxe Edition DVD of the 2006 CASINO ROYALE? Before the Ultimate Edition DVDs came out, MGM contacted me to assist them in finding deleted scenes and so on from their archives. They weren't interested in new documentaries, although we did actually do some. I think they thought they might find unseen footage of DR.NO or something, but the only unseen footage that exists is raw camera footage of a single shot from the film. It became an incredibly complicated job to try and pull together all this myriad of material to give it some coherence. I think the biggest thing we did for the Ultimate Editions was adding some deleted scenes and scenes with multi-camera angles. It was great fun finding stuff like all that old footage of the Aston Martin and parts of the Fleming interview that didn't make it onto the Special Edition releases. The Deluxe Edition of CASINO ROYALE '06 was something I very much wanted to be involved in. Since a lot of details on the making of the 2006 film had already appeared in TV documentaries that were included in the initial DVD release, I wanted to find a different approach to pay tribute to Fleming, his world and his creation. It was the first Bond novel that I ever read, the first Bond novel ever written, arguably the most influential spy novel ever written. There are some stories that had never been told, and I thought that we had a chance here to tell some of them. Were you involved in finding the deleted scenes and shots for the release? I viewed them very briefly, but they were not something I was involved in. These days, film editors are told to keep all the deleted scenes and shots so that they can hopefully be included on the DVD. That stuff is all archived off, and the producers and filmmakers have to sign off on what gets used and what doesn't get used. We had access to all the raw camera footage, and all the behind the scenes footage but we couldn't (and didn’t really want to) create or edit a deleted scene. Those had already been done. The material in the Filmmaker's Profiles section on the DVD is filled with raw camera footage that we pulled out and wasn't used in the film, so one can see bits of alternate takes there. In all your DVD work, what are the most rewarding aspects? COMANCHEROS). I got to sit down with Wayne's widow and son. It was really fascinating to be able to do that and hear their take on what his legacy was. It has to be strange to be related or involved with someone who has been transformed by the public into an icon. His son told me that it isn't easy to sit down and watch a film of his father's. I understand that. I am incredibly grateful to have these opportunities. Are you usually commissioned to do titles, or do you suggest titles to the studios? Occasionally we suggest titles that we want to work on, like the FLINT movies for Fox, but it is rare that it pans out. We finished the documentaries for them, but Fox decided to delay the street date. They are finally getting released through the Twilight Time label, which has done wonderful work releasing many titles that don’t fit into the studio’s plans. Ones we get commissioned to do offer great opportunities. It often turns out to be a fun challenge. An example would be our work on the Charlie Chan movies. That turned out to be a great window into the 1930s and early 1940s. There were all sorts of stories that we were able to springboard off of that series, and we were able to pay tribute to some great legends in Hollywood whose careers are all-but-forgotten. 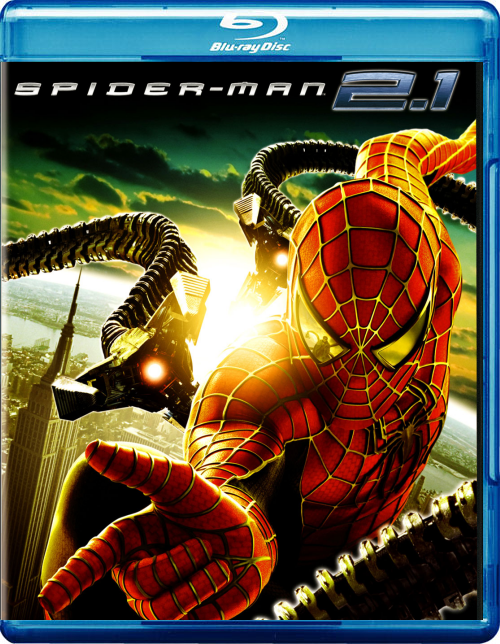 You did the trivia track on the SPIDER-MAN 2.1 (2004) DVD. Are you a huge fan or expert on the character? Charles de Lauzarika did the special features on that release. He commissioned Cloverland to do the trivia track. We had done trivia tracks for a number of MGM releases at that point. Bruce Scivally worked on it with me and wrote the vast majority of it. I enjoyed Spider-man growing up but I am not an expert by any means. It was fun thinking out of the box for the track. We didn't want to have facts that the fans were necessarily thinking about. We went through and read over a hundred issues of the comic books between us, trying to find strange associations between the comic book world of the character and what was in the film. Do you spend most of your time these days making documentaries with your company Cloverland or do you still write?I have not actually written a screenplay in a long time, but I do have one under option right now. I don't identify myself as a screenwriter anymore. I have lots of ideas and lots of scripts that are sitting around that could probably interest people. But there are only so many hours in a day. What are some of the current projects Cloverland is working on? Right now we are doing less special features for movies because it's a shrinking marketplace. We are getting into different types of documentary work. We're doing a documentary on the divorce era in Reno, Nevada and how that ended up changing American notions of what marriage means. The project is titled RENO, AND THE ROMANCE OF DIVORCE (you can see a trailer here). The story reveals our changing understanding of what marriage means, from a women being legally bound to a man as something more than property but less than an equal partner, to our view today of marriage as a partnership. 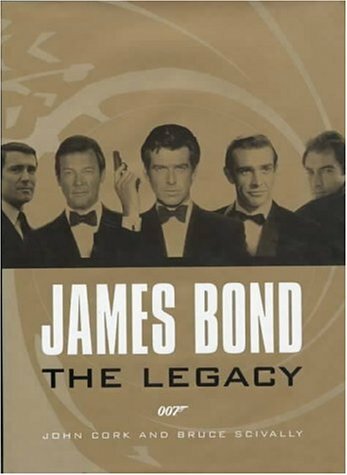 How did the 'James Bond -The Legacy' (2002) book come about? That was another one of those strange circumstances that came out of the blue. I had actually sent a letter to Barbara Broccoli saying to her that I thought there was a book that could be done by taking a lot of the content we pulled together for the DVDs and doing it as a book with Cubby Broccoli's story as the centerpiece, in a way that his memoir ('When the Snow Melts', 1999) couldn't do. I thought we could talk about how the films were produced, and also tell Michael and Barbara's story too. I didn't hear anything back directly but a few months later I got a phone call from Keith Snelgrove at Eon, during a quiet period for Bond (before DIE ANOTHER DAY, 2002). He said "Would you like to write a book for us? It's not going to be the one you pitched us. We have a different idea that came from the publisher Boxtree. I'm going to put you in touch with them.'' During this period, I was just getting started on the non-Bond DVD work that my company was doing. It was literally within the week of MGM giving me my first four titles to work on. It was a hectic week! I said to Boxtree and Eon that "I would really like to work with a co-author on this, and Bruce Scivally is that guy." They were happy to let me do that, and Bruce was the perfect collaborator and partner. Was the unique approach of the book dictated by the publisher from the start? What they had more than anything was a title, and the title came with a concept. It wasn't going to be a 'making of' book. It was going to be about where the films and popular culture intersected, and we would be looking at the larger footprint of the series as well as how it developed. We were interested how current events and popular culture influenced Bond and vice versa. Many people have told me that they love the book but that it's too big to hold in their hands when they're reading it in bed! We'd always hoped there'd be a second edition or an e-book or something so we could correct the typos and all the little things that always infiltrate a project of this scope. But it wasn't to be. Eon would rather create new books, which is understandable. What do you recall about working on 'The Ultimate James Bond - An Interactive Dossier' CD-ROM (1996)? I worked on that with Lee Pfeiffer, and on my end, Bruce Scivally and Scott McIsaac both did some important work as well. That was quite an extensive project. My favorite part was getting to go through the MGM files of each of the films. We needed the official character and actor bios from the press releases, but we were encouraged to copy every press release they had! These became invaluable when working on the DVDs and Legacy projects (among others). Back in the '60s, they would send out press release for all sorts of things - local theatre grosses in Nairobi, when an actor would arrive in New York, and wonderful stories from the productions. One had to take some of the tales with a grain of salt, but so many of the press release stories checked out, yet had never been published. You later worked on 'The James Bond Encyclopedia' (2007). How was that experience? This was a different project - similar to the Interactive Dossier - because there was no narrative flow, just short entries. Dorling-Kindersley creates lovely looking books, but they are created as visual experiences. Writing is secondary, and it was a constant struggle to keep the text as strong as the visuals. I'm very proud of some of the material I wrote for the book, and I was blessed to be working with Collin Stutz along with editorial and writing help from Bruce Scivally. I can't give enough credit to Collin for his hard work and diligence. He also did all the updating for the 2nd edition. How does it feel to be regarded as a Bond expert? Is it a great burden? When MOONRAKER (1979) came out, there was a 007 event at the Museum of Modern Art, and I met Richard Schenkman, the President of the American James Bond Fan Club back then. A Bond fan came up to him and asked him a trivia question. Richard confessed "I don't know." The fan was surprised and said "But you're the President of the Fan Club!" Richard replied "It's not about knowing everything. It's about knowing where to look up the answer!” That always stuck with me. Every time I've done a project I have certainly held on to everything I think I know but I always question myself and question what the accepted notion or story or version of history is. You have to go back and recheck a scene from a book or a movie if you're going to write about it. You have to be willing to dig deeper than your assumptions. It's not a burden for me to be called a Bond expert. I have done enough work on the subject to be called an expert. On the other hand I have tremendous respect for anyone who peels the onion back to the next layer. There is always more to be explored. To me the great thing about Bond is not the details of how this or that happened, although I love that stuff. To me it's about how you can go through the world of Bond and propagate out into these amazingly fascinating stories that impact in all these different ways. 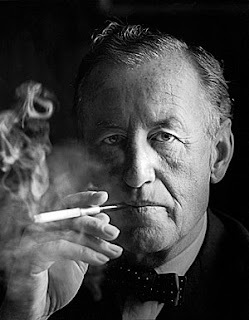 If it hadn't been for Bond, I probably wouldn't have gotten interested in Noel Coward, who was Fleming's friend. These sorts of things expand your world rather than limit it. Finally, I believe you had your honeymoon at Fleming's Jamaican residence, Goldeneye. When I proposed to my wife, which was about an hour after the Northridge earthquake in 1994, we began talking about honeymoon ideas. I was looking at the Caribbean, and she suggested Jamaica. I told her, "If we go to Jamaica, it will become the 'James Bond honeymoon,' and I'm not sure that would be the best thing." She said she would love to go to Jamaica, and she didn't want to just lay on a beach all day. I immediately called Goldeneye. They informed me what the rent was and I tried to keep my cool, because there was no way we could afford it! I can’t remember the price, but it was way above what I had budgeted for the honeymoon! I started looking at other places when, a few days later, the phone rings. It was Chris Blackwell, the owner of Goldeneye (and location manager on DR. NO and the man who made Bob Marley huge, etc.). He said that Barbara Broccoli had given him my number in regards to something else entirely. I replied that I had been on the phone to this very nice woman at Goldeneye that week. Chris was somewhat taken aback. "Why?" I told him I was getting married and had called to see if it was available. Chris said, "Oh, you will have to honeymoon there!" I didn't want to say that it was out of my price range, but Chris broke in again. "And, of course, you'll be my guest. There will be no charge." He was as good as his word. I had the honeymoon I had dreamed of having at a place that was not only one of the most beautiful on Earth, but at a place that had lived in my dreams ever since I had read Pearson's biography of Fleming when I was thirteen. I spoke to John by telephone on 13th September 2012. I would like to thank him for his time. Paul Rowlands is a Japan-based writer. After completing a BA Humanities course (majoring in English and Science) at the University of Chester, he moved to Japan in 1999. He writes for the James Bond magazine, Kiss Kiss Bang Bang, has had articles published on Press Play and has had an almost lifelong obsession with cinema, something the advent of DVD only increased. Paul is also a writer of so far unpublished short stories and novels, and is planning his first short film.